When sleep experts studied walruses a few years back, they were startled to find that walruses can go for epic stretches without sleep, swimming almost continuously for up to 84 hours. After that, these big aquatic mammals can crash pretty hard, sleeping up to 19 hours. 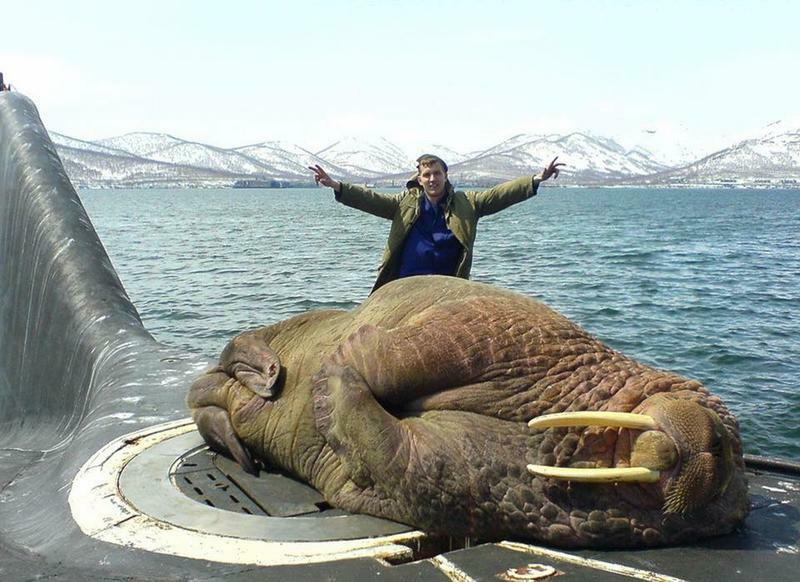 That sort of exhaustion may explain why, in 2006, this particular Walrus chose such an unusual bed — the deck of a Russian submarine. Incidentally, the sleep experts observed something even weirder than this scene: Walruses hanging off the sides of an ice floes, by their tusks, with their bodies in the frigid water — sleeping.